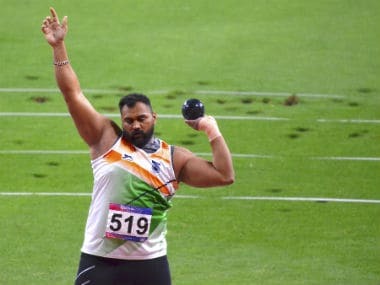 Asian shot put champion Manpreet Kaur has been suspended for four years by the National Anti-Doping Agency (NADA) for an anti-doping rule violation committed in 2017. In an order dated 29 March, an anti-doping disciplinary panel (ADDP) headed by Kuldeep Singh, stated that the period of ineligibility would commence from 20 July 2017, the date of her provisional suspension. The panel also ruled that all her competitive results from the date of sample collection would be disqualified. In an appeal filed on 4 April, Manpreet had sought a reduction of the ineligibility period. Manpreet tested positive four times in 2017, first at the Asian Grand Prix meet at Jinhua, China on 24 April, followed by the Federation Cup at Patiala (1 June), Asian Athletics Championships in Bhubaneswar (6 July) and the Inter-State championships in Guntur (16 July). She stood first in all these meets. Irrespective of the decision of the appeal panel, Manpreet will lose all the results in meets where she tested positive including the Asian championships. Her national record of 18.86m at Jinhua will also be erased. 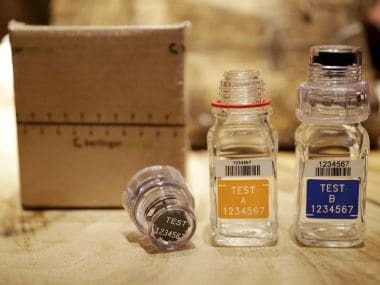 Disqualification of the result at the competition in which an athlete tested positive is automatic and can only be prevented if there is a false positive dope report. Manpreet, despite losing her mark of 18.86m, will still hold the national record at 17.96m, set at Kolkata on 16 September 2015. 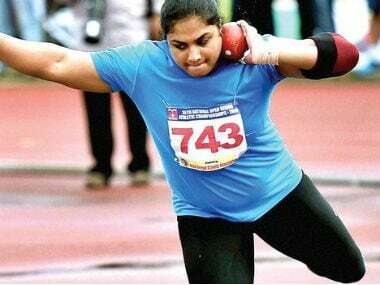 That record bettered the 1997 record of 17.46m set by Harbans Kaur, also in Calcutta. Manpreet had another 18-metre result (18.28m) in winning the Asian title in Bhubaneswar in 2017. Manpreet tested positive for steroid metenolone at the Jinhua Asian GP meet. In the other three meets in India, she tested positive for the stimulant dimethylbutylamine (DMBA), a substance that has an almost similar structure as the more famous methylhexaneamine (MHA). The metenolone positive did the damage for Manpreet. She could prove supplements contamination for her DMBA positive results but could only allege ‘sabotage’ for the steroid positive. The Chinese test report took a long time in coming. Though the sample was collected in April, the first notice of an adverse analytical finding was sent by NADA only on 20 July 2017. It was learned during that period that the Chinese had taken more time for confirmatory tests. Since the first intimation about any positive dope test was conveyed to her only after all the other three meets in India, the violation was counted as one and not four separate cases. 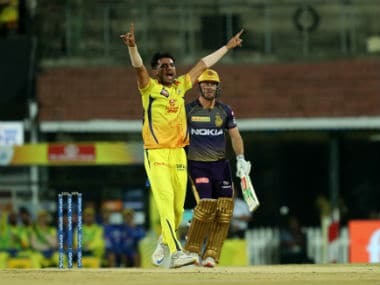 Manpreet’s lawyers argued that while training at Patiala in the month of April, a kabaddi player from the Railways, Pradeep who also used the same Railway facility as Manpreet, had brought along another kabaddi player (Gopal) with whom Manpreet had an argument one day. It was alleged that the other kabaddi player had deliberately ‘sabotaged’ Manpreet’s drink following the argument about using the Railway facility since he was an ‘outsider’. “On the basis of information received from Mr Pradeep, athlete registered a police complaint at PS, Grain Market, Patiala," the order stated. It was stated that Manpreet’s samples before and after the Chinese instance had returned no adverse reports for metenolone and it proved, the lawyers argued, there was no “intentional” consumption of the banned drug. The alternative argument was that the athlete deserved only a two-year sanction, if at all, on the basis of her “unintentional” offence. 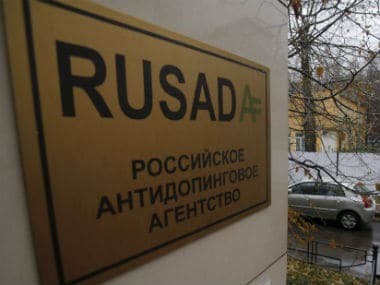 It was also pointed out that the athlete was in the Registered Testing Pool of the Athletics Integrity Unit (AIU) of the International Association of Athletics Federation and was regularly tested and had an unblemished record. NADA argued that the athlete had failed to establish how the prohibited substance entered her system. The panel observed that the athlete’s allegation of a ‘sabotage’ of her drink amounted to a “weak state of evidence”. “In addition, there are no other exceptional circumstances and/or evidence submitted which could justify assumption of lack of intent. The violation of the anti-doping rule must, therefore, be deemed intentional,” the panel wrote in its order. Col (Dr) Sanjeev Kumar and hockey international Jagbir Singh were the other members of the panel.